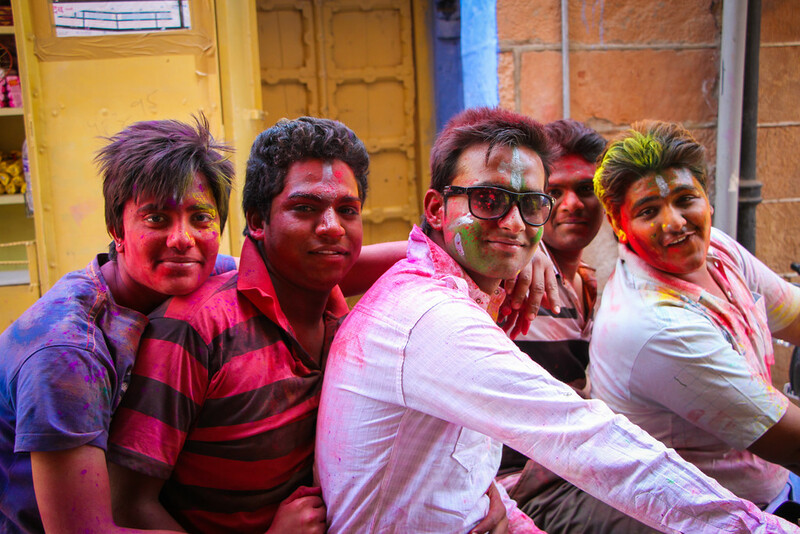 Worried About Holi India Festival? - Get Some Tips Here! As the sun set and darkness fell on the blue city, it was time for a very special celebration. 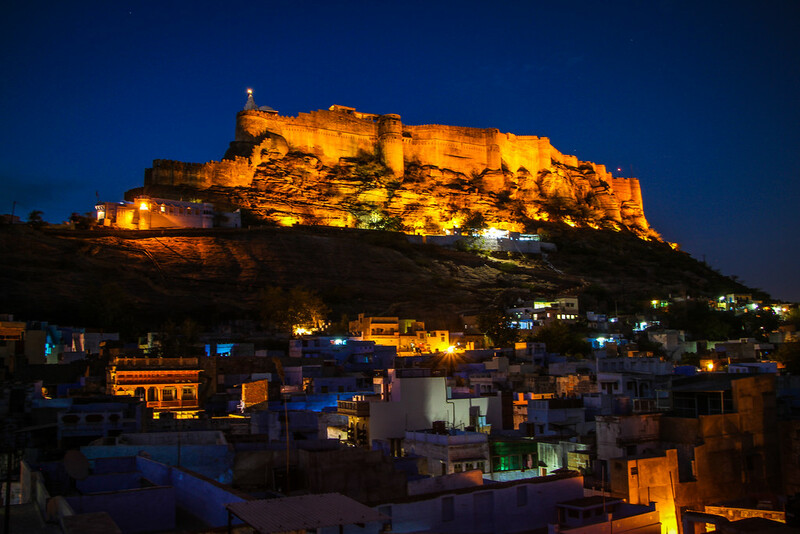 Throughout the narrow alleyways and streets that make up the city of Jodhpur, people were excitedly milling around and smiling. On the cobblestone streets, pieces of wood were being piled high; flowers and colourful powders were being delicately placed along the streets. As we stood on our rooftop, we surveyed the beautiful scene. From the darkness of the alleyways came light. Small orange glows began to pop up across the city, growing as the Holika bonfires were lit in the alleyways to signal the beginning of the Holi celebrations. The Holi festival is an ancient Hindu spring celebration also known as the festival of love, or more appropriately, the festival of colours. And it was only just beginning. Morning came, and it was time to enter the fray. Staying in a predominantly residential area away from the main square, whatever experience I was likely to have would be genuine. I made my way down the steps of the haveli and into the streets. 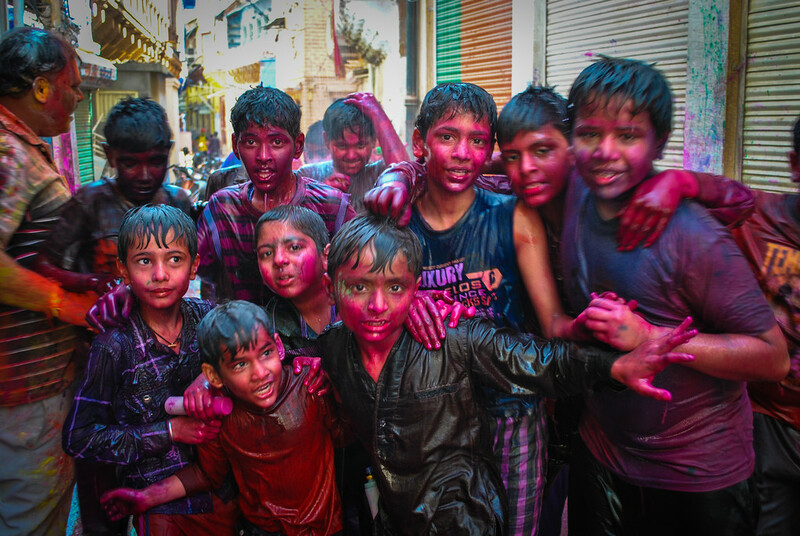 Almost instantly, a group of young boys, resplendent in a cacophony of colours spotted me. I was a prize target, clearly a tourist with blond hair and my completely clean appearance made me all the more alluring. Instantly I was set on, 10 pairs of hands rubbing the multitude of colours into my face, my hair, my back, arms and legs. Their excitement grew and the noise levels rose, attracting more boys to the fray to add their own imprint on me. Before I could react, I was dragged along the street by my hands and around the corner to a dead end alleyway. I will never forget the scene in front of me. Hanging 8 feet above the alleyway was a series of make shift plastic pipes, arranged into a grid like system. Crude holes had been punched into the pipes, creating a number of shower like spouts from above. Underneath, around 20 boys and girls were dancing under the showers, the music pumping out of a nearby window. The entire alleyway was a blitz of colour. And then the group spotted me. 40 Indian eyes fixed a delighted stare on me, the whites of their eyes and teeth grinning at me through the colours etched into their faces. The group erupted, launching themselves towards me with hands filled with yellow, red and green powder, and once again I was engulfed in the group. It was exciting and innocent fun, and the group delighted in coating me in yet another layer. After a few moments, the original boys dragged me under the shower to rinse off, the colours streaming into my eyes and clothes. Now I was soaking wet, blind and covered in paint. Great. A older man took pity on me and motioned for me to come to him, where he wiped the colours from my eyes with a damp cloth and told the group to give me a break, I needed it! After a few moments, I noticed a small boy sitting next to him, quietly and intently staring at me with inquisitive eyes. I could see he wanted to add his own impression on me, and motioned for him to come over. 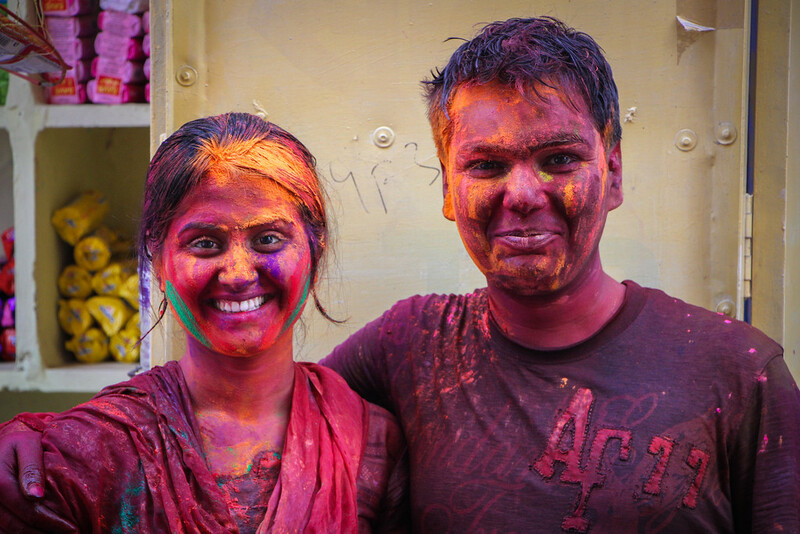 Carefully, he took two scoops of yellow powder from his bag, and gently brushed them across my cheeks; happy Holi, he whispered. It was the calm within the storm. For a moment, I had zoned out of the party, but very quickly I was back into it, in the middle of 20 young boys and girls, all covered head to toe in colours and soaking through from the water from above. Apparently it was time to dance. Those who know me personally know I have some choice dance moves, and it was time India was introduced to them. For the next 15 minutes it must have looked like the strangest dance off ever witnessed on planet Earth. 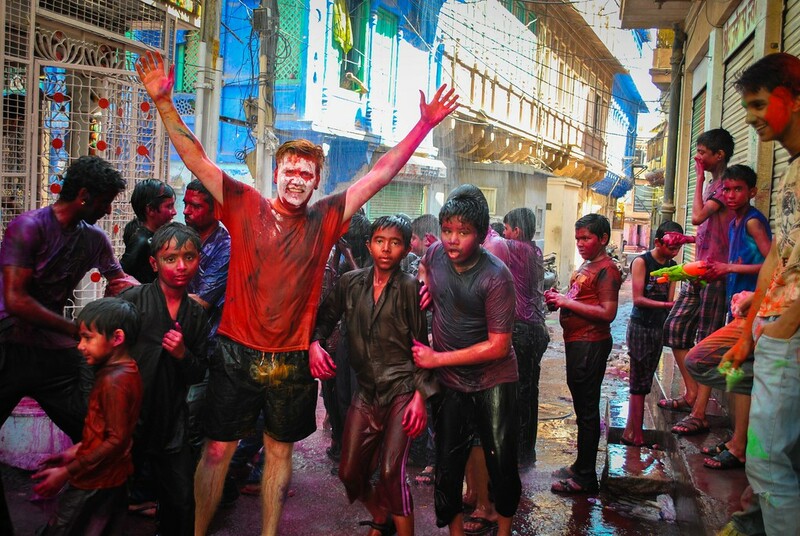 On one side, a white, blond man from the UK, soaked through, stands under a make shift shower in an alleyway in Rajasthan, covered in various colours of paint. On the other side, 20 young Indians were in a state of hyperactivity, baying for some new dance moves. I duly obliged, pulling out some of my finest moves to the delight (I think) of the group. Either way it didn’t matter, this group had made my first Holi experience spectacular and real, and I’m thankful for the memories. 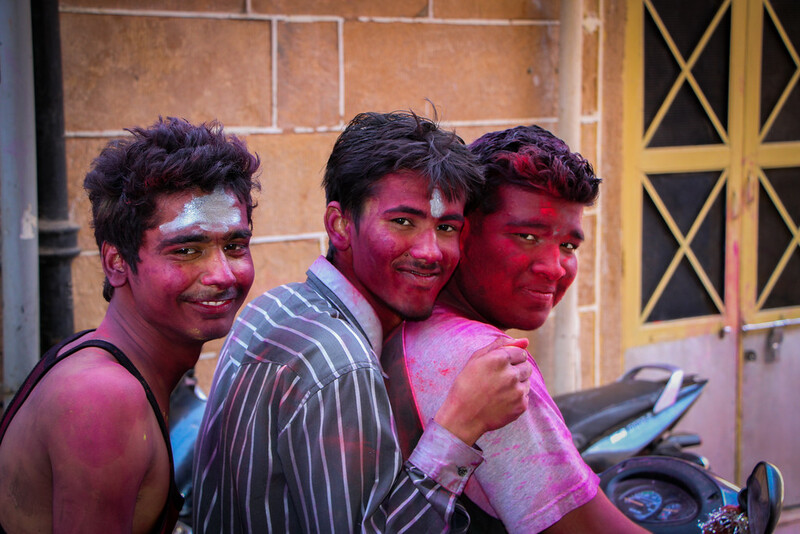 For many people, Holi can be an intimidating and overwhelming experience, and many choose not to participate for fear of the unknown. My advice to you is to avoid the large gatherings in the centre of towns and cities, and seek out an authentic experience in a neighbourhood nearby. 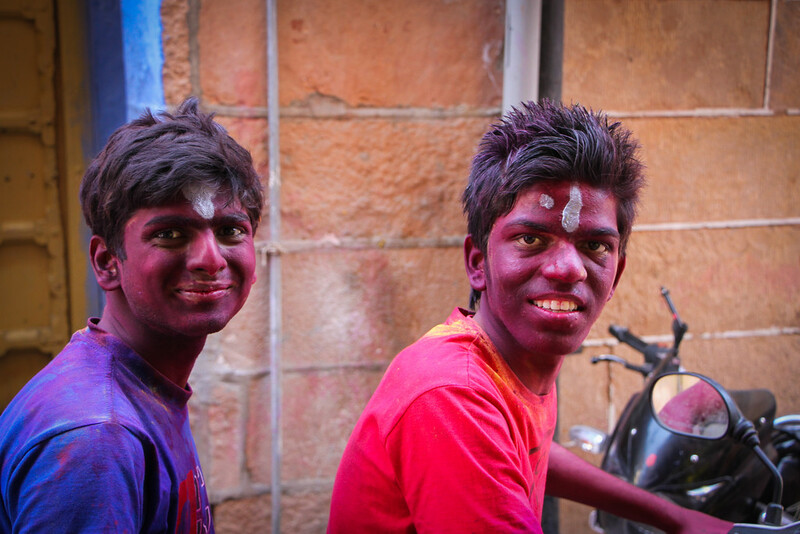 If you can find a place where families and children are playing, you get the authentic real experience of Holi, rather than a mass organised, tourist focussed celebration. Take the time to research and seek out these smaller, intimate gatherings. 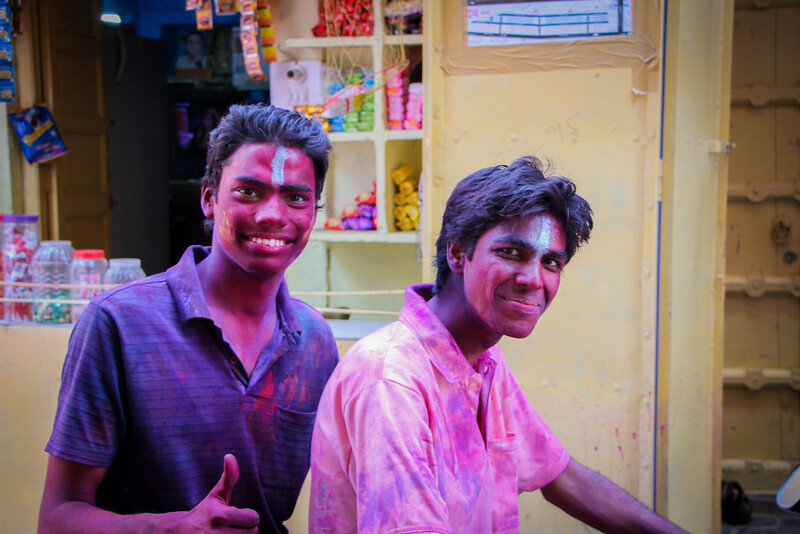 In a country as energetic as India is, Holi seems to magically increase those energy levels to fever pitch, whole towns and cities dancing and celebrating to an unseen beat. 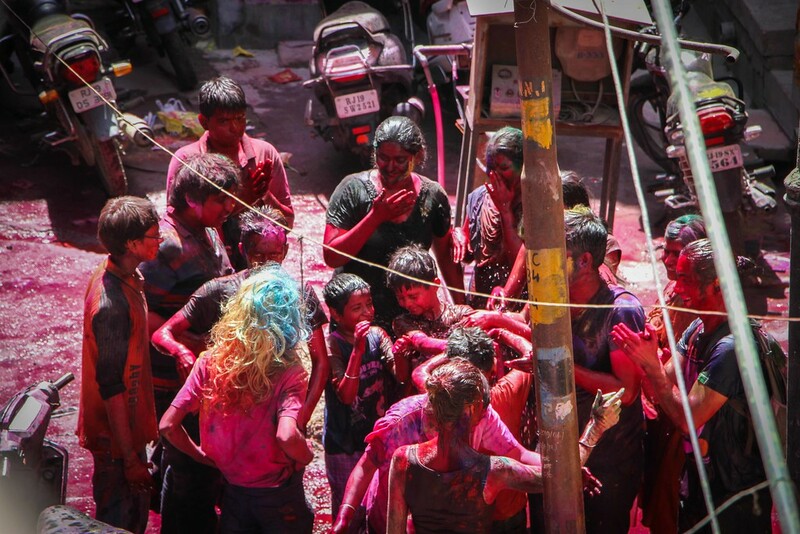 To see Holi is to witness India in all its glory. Happy Holi 2015 To All the Indians, and People around the world. Holi is indeed the most beautiful and colorful festival of India, but i bet you will love diwali if you see how it’s celebrated in India,. Happy diwali 2015. Sounds like we need to make another visit to India for Divali then Chanchal! Haha it was great Yvonne! Although the coloured powder stayed with me for a week!